The Europa League has its own challenges from the perspective of sports betting. With a large number of teams from different leagues, it is often difficult to draw cross-comparisons and to correctly assess teams. In addition, the motivation in this competition plays a role, as some clubs take him more seriously than others. Spanish teams, for example, have always looked good for years, while Italians often do not show the greatest commitment to getting far. After the group stage, this problem is not so great, since only “motivated” teams are represented, but there is another problem in the second round. Some clubs, such as the Russian and Ukrainian clubs, are longer in their winter break and therefore have not played a single game in the new calendar year. It is therefore their form to evaluate only on the basis of results from test matches, which is not necessarily the best standard. On Tuesday Zenit St Petersburg already submitted and conceded a 1-0 defeat at Fenerbahce Istanbul, which might not have given the rhythm of the Russians. But in the subjunctive in this sentence it can already be seen that this thesis is difficult or even impossible to substantiate. In the match between Olympiakos Piraeus and Dynamo Kiev, a prediction is also tricky to make. While the hosts have already completed more than a handful of games in 2019, the last competitive game at the capital club from Ukraine is a long time ago and dated from 13.12.2018. The league operation pauses even longer. Seen in this way, the duel Olympiakos Piraeus vs Dynamo Kiev to enjoy the quotas with caution. Before a prediction is made, many influencing factors must be taken into consideration in order to find the perfect tip. At 18:55 clock German time, the kick-off in Greece by referee Craig Pawson from England. The last game excluded from the weekend, Olympiakos Piraeus could be attested a very good form. The Red & Whites won six of their eight games in 2019 and also played draws twice in the Cup. The most important game, however, was the duel on Sunday at PAOK Salonika. It was probably the last big chance to make the title fight in Greece exciting. The previously six-point deficit to the league leaders could have shrunk to three, but now have grown to nine points. Although the performance of the guests was not bad, it was not enough to take something countable in the big counterparty for the title. All in all, PAOK was cleverer and ice cold in front of goal and took the lead after three minutes through former Wolfsburg Vierinha. Piraeus scored just before the end of the game in person of Daniel Podence only the consolation goal. How does this result affect the squad of coach Pedro Martins? It is conceivable that the players’ curve will get a kink and the club will fall into a mini-crisis as the big goal of the season is out of reach. It would also be possible for the players to be doubly motivated in the Europa League to save their time there. The mental aspect is therefore very crucial for the game Olympiacos Piraeus. Dynamo Kiev to make a good prediction. The capacity of the hosts is undoubtedly present and the one defeat does not change the playful potential of the Greeks – if just plays the psyche of the actors. Pedro Martins knows his protégés very well and will find the right words to find the tension before the first leg in the Europa League after a short disappointment. In the group stage Olympiakos has survived a hammer group and qualified for the second round behind Betis Sevilla. AC Milan were beaten 3-1 at home on the sixth and final day of the match, leaving Milan second place. This hard work should not have been in vain, which is why the motivation and attitude of the hosts on Thursday will vote against a home backdrop. As already mentioned several times, it is hardly possible to evaluate the form of Dynamo Kiev. The club has already held eight friendships in 2019 in order to maintain the rhythm of the game as much as possible. Nevertheless, a friendly match is not comparable to a competitive game, which will certainly not be an advantage for the Ukrainians on Thursday. In the league, the capital club ranked in second place behind contenders rival Shakhtar Donetsk. 38 points after 18 matchdays are too little for their own claims and the gap to Donetsk is already seven points. Especially offensive (only 27 goals), the shoe stuck in this season tremendous. Ironically, coach Aleksandr Khatskevich had this problem only in the league. In the Europa League, the jump to the second round was easily achieved. Even before the last match day, the first place in the group K with Stade Rennes, FC Astana and FK Jablonec was fixed. Thus, the final game against the Czechs could even be lowered (0: 1). Although the results of the friendly matches should be treated with caution, a look should be made. In the eight game there were three wins to celebrate, including a 3-0 against the German second division VfL Bochum. Also the last game, so to speak the dress rehearsal, against Valerenga IF from Norway was won 2-1. 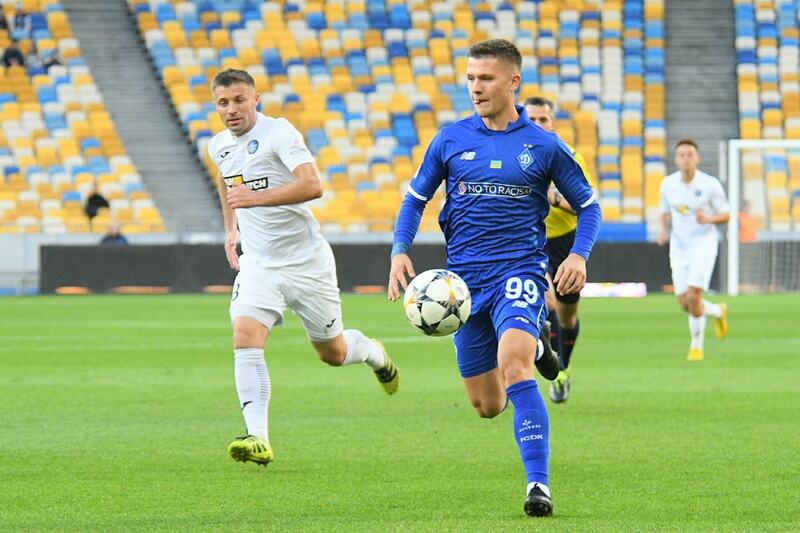 The youngsters Nazariy Rusyn and Mykyta Kravchenko scored the two goals for the Ukrainians, which is a sign that coach Aleksandr Khatskevich has not scored his first team. The Belarussian will hardly fall back on the two young players on Thursday – at least not in the starting lineup. So all in all, a big question mark remains behind the capabilities of Dynamo Kiev. The direct comparison between Olympiakos Piraeus and Dynamo Kyiv is not needed for a tip on the upcoming Europa League first leg on Thursday. So far, the two clubs have not met at all in a competitive match. Only a friendly match can be found in the past, which, however, already five years ago. 1: 1 ended the encounter then. A certain Diamantakos scored for the Greeks before Mbokani equalized for Kiev. This pair is one of the toughest games in the Europa League tie. Both clubs were able to convince in the group stage and take the competition very seriously. The hosts have also seen a good form in recent weeks, the Olympiakos Piraeus vs Dynamo Kiev in the odds rightly as a favorite. To the good condition of the Greeks is still the uncertainty about how good the guests are on it, the 2019 had yet to play a competitive match. The question arises as to whether Olympiakos Piraeus will fare so well against Dynamo Kiev that a guess at odds around 2.00 is really profitable. This requires a probability of victory of over 50%. All in all, this probability of victory is realistic and may even be a bit higher. Although the Greeks have suffered a small setback on the weekend, but the team of Pedro Martins will only incite more. At home Piraeus won the last six games and scored at least two goals. Especially at the beginning of the game, the home side can take advantage of the lack of match practice of the guests from Ukraine and set the course for home victory with an early lead. Four units are the correct bet size for this tip.